Did you have a great idea? Did you do anything about it? Did someone else? Inventing For Dummies is the smart and easy way to turn your big idea into big money. This non-intimidating guide covers every aspect of the invention process - from developing your idea, to patenting it, to building a prototype, to starting your own business. 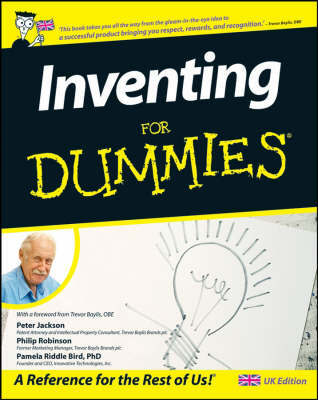 Buy Inventing For Dummies by Pamela Riddle Bird from Australia's Online Independent Bookstore, Boomerang Books. Pamela Riddle Bird, PhD is the founder and CEO of Innovative Product Technologies, a Florida-based company that assists inventors in marketing their inventions.